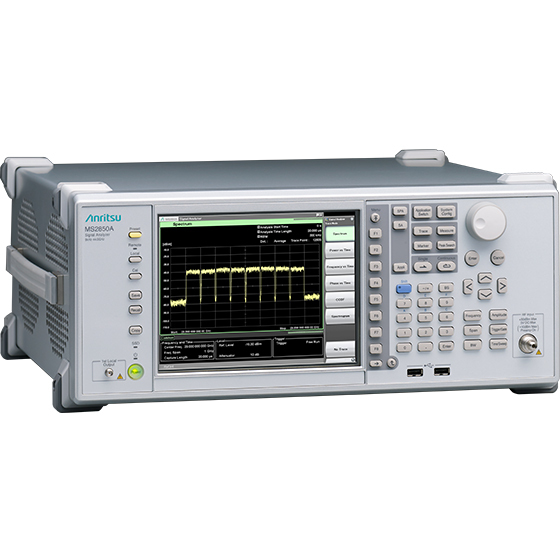 The Signal Analyzer MS2850A is a spectrum analyzer/signal analyzer with a maximum analysis bandwidth of 1 GHz and a frequency range of 9 kHz to either 32 GHz or 44.5 GHz. 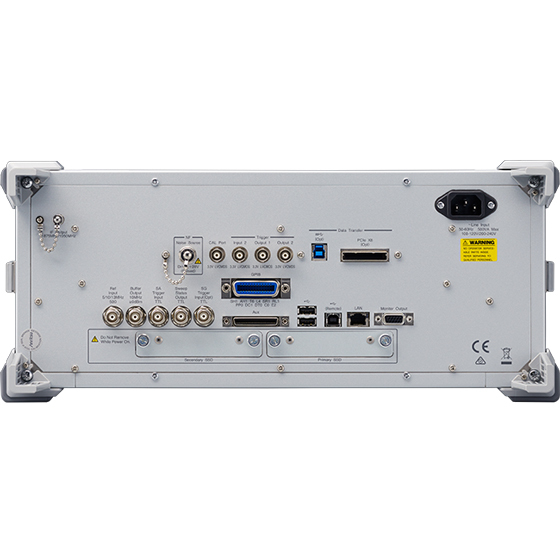 It has an analysis bandwidth supporting wideband communications measurements, such as 5G mobile communications and broadcast satellite equipment, providing all-in-one coverage from the sub-6 GHz to millimeter-wave 28 GHz/39 GHz bands. 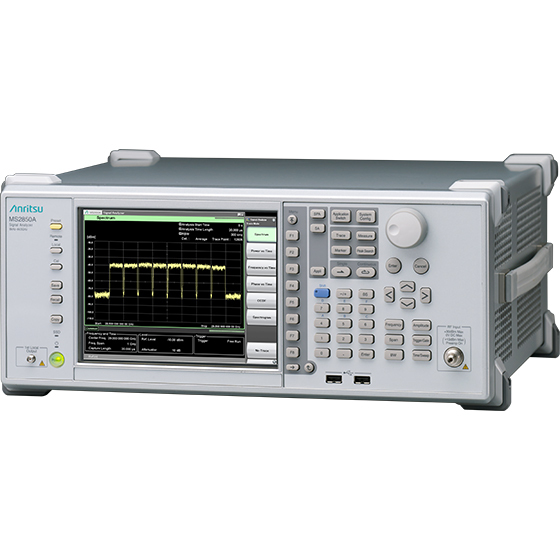 With excellent cost- performance, this benchtop signal analyzer helps cut development and production costs for communications equipment while improving efficiency. The signal analyzer function can capture up to 24 seconds (at 100 MHz span) using the large 32-GB memory. Digitized signal data can be analyzed with general EDA tools for efficient R&D into next-generation standards prior to release of new standards. In addition, adding the PCIe/ISB3.0 option for high-speed transfer of large captured data helps with efficient R&D by cutting data transfer times. The 1 GHz analysis bandwidth supports wider bands for microwave and millimeter-wave communications systems, such as 5G mobile and broadcast satellites. The signal analyzer function using FFT (Fast Fourier transform) analysis supports spectrum displays, spectrogram displays, and applications where frequency and phase change with elapsed time. In addition, frequency bands required for 5G measurements are covered and all-in-one evaluation of multicarrier signals is supported by the 5G measurement software. 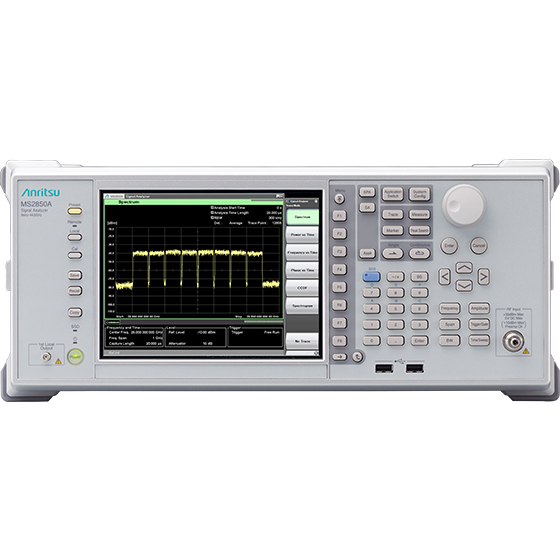 The amplitude and phase flatness performance*1 over a wide analysis bandwidth of 1 GHz exceed that of other signal analyzers*2. With this performance, the MS2850A supports high-accuracy amplitude and phase measurements for each carrier in wideband communications systems, such as 5G mobile, to play a key role in improving the quality of radio communications equipment. The MS2850A has a high ADC clipping level over an analysis bandwidth of 1 GHz. This performance can be used to obtain a wider difference from the DANL, which rises when inputting the actual signal input level and inputting a wideband signal when using an attenuator. 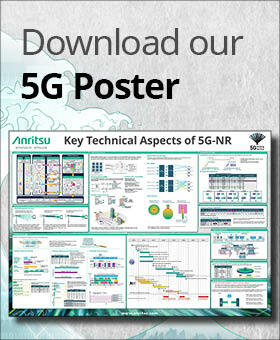 This wide dynamic range performance helps obtain more accurate EVM values at measurement of 5G signals. For example, in the 28 GHz band, the measured dynamic range at the difference between the ADC clipping level and DANL is better than 140 dB (ref.). The MS2850A suppresses spurious generation due to ADC over the 1 GHz analysis bandwidth, assuring a wide measurement dynamic range at wideband signal analysis. Measurement Applications (options): 5G Measurement Software, LTE-Advanced FDD/TDD Measurement Software, Phase Noise Measurement Function, Noise Figure Measurement Function, etc. This video will focus on the mixing stage in the architecture of spectrum analyzers, giving an overview on the main differences between harmonic mixing and fundamental mixing, and also unveiling how it affects to the measurements we want to approach.